"I thank you very much for your sincere appreciation, and for your feelings of imperfectness. The more you think as imperfect, the more you make actual progress in Krishna Consciousness. This hankering after perfection is seen in even the most perfect devotees. So we should never think of being perfect at any stage. "Actually, Krishna Consciousness is unlimited, because Krishna is unlimited, so we do not know at which point the perfection is there. 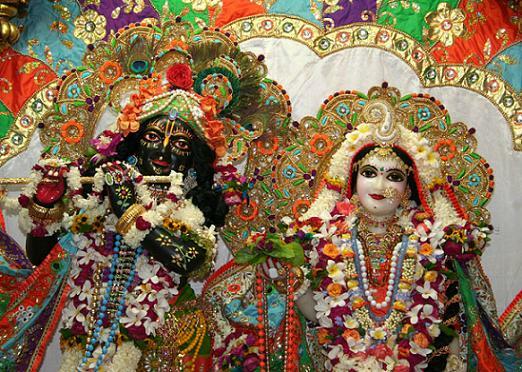 Even Krishna Himself thinks that he is imperfect to understand Radharani's feelings of devotion; and to understand the devotional feelings of Radharani, He became Lord Caitanya, to worship Krishna in the feelings of Radharani. "So transcendental activities are so nice that it is all perfection, and still there is no perfect satisfaction. That is the duty of spiritual life. Please stick to your principles as you are now doing and serve Krishna to your best capacity, and Krishna will give you all protection undoubtedly."